KIEV, Ukraine -- The world’s intelligence services claim that during sports tournaments of the level of the European Football Championship the threat of terrorist attack increases threefold. The recent tragedy in Egypt indicates that proper organisation of security measures is a vital necessity during competitions at any level. 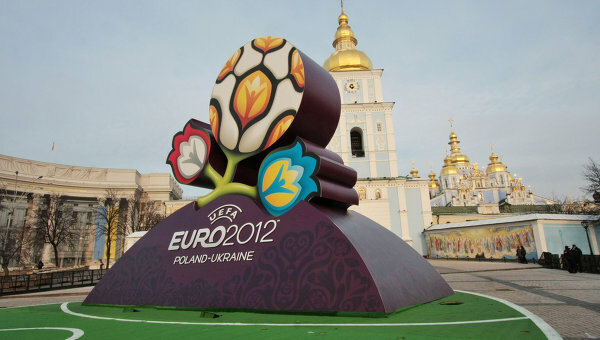 On February 16 Kiev hosted the second international seminar on ‘Security during Euro 2012’. Representatives of 22 countries and international law enforcement organisations gathered in the capital of Ukraine to discuss in detail how they will protect fans and the participants in the tournament, which will be held this summer in Ukraine and Poland. 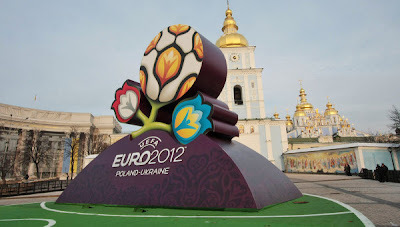 “Preparation for the Euro raises the general level of culture and willingness of our police officers to provide a European level of law enforcement in Ukraine,” said the First Deputy Head of the ‘Euro 2012’ national agency Oleksandr Birsan. Currently, Ukrainian law enforcement bodies and UEFA evaluate all group stage matches as “low risk”. However, this does not prevent the Security Service of Ukraine from preparing for a worst-case scenario. The ‘Alfa’ special anti-terrorist unit held more than 30 exercises on the official sites of Euro 2012 last year. “The final exercise was held in Donetsk, it included several scenarios. The first was the liberation of hostages captured on the official site of Euro 2012." "The second tested a mechanism; an algorithmic response of special police units to multiple riots in the fan zone. And the third dealt with the consequences of a man-made disaster,” explained the Chief of Ukraine’s Anti-Terror Centre Volodymyr Orativskyi. In Ukraine, at the legislative level, a new law has professionalised stewarding which will allow the police to be withdrawn from the stadiums. From now on, domestic fans must get used to new rules; law enforcement during football matches will be more about coordination and incident prevention, not immediate punishment for an offence. The authorities have also promised to train 30,000 English-speaking police officers who will be able to communicate directly with foreign fans. Interpol’s Ukrainian Bureau will be a vital coordination and information hub with international partners. The Ukrainian Interior Ministry is creating a database of persons whose access to stadiums during the Euro will be limited. “Any person can be included on this list but only after breaking a law, not just because someone has decided that that person is a “soccer hooligan” or, so-called, “problem fan” said the head of Interpol’s Ukrainian Bureau Vasyl Nevolia. One thousand two hundred people are currently on Ukraine’s “black list”. To them can be added all the English fans that the British authorities are stopping from travelling. “There are over 3,000 fans that are banned from travelling abroad. And before the tournament starts they will have to hand over their passports and they’ll have to report to the local police station." "We used that for the World Cup in South Africa and it worked very well. We had no problem fans in South Africa. We are very confident we will have the same level of success here in Ukraine,” said Assistant Chief Constable Andy Holt, who is in charge of football policing for Britain’s Association of Chief Police Officers. The authorities and law enforcement bodies of Ukraine are determined to do everything that they can to make fans feel safe and comfortable. But providing the real feelings of happiness and satisfaction will be up to the men in shorts.